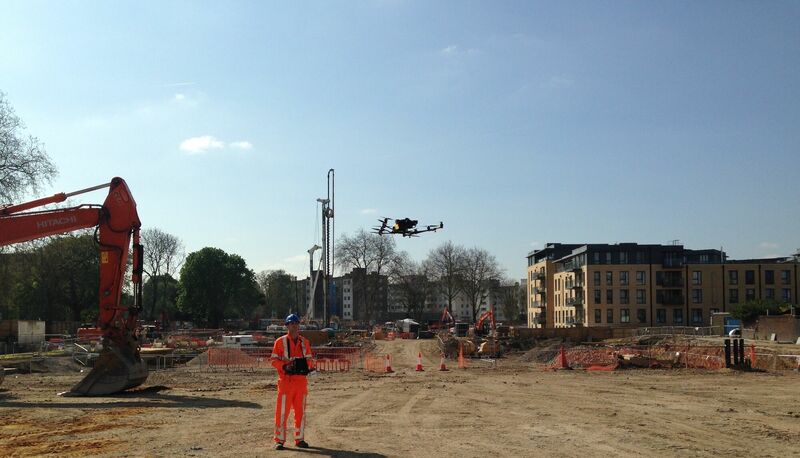 Drones have become a vital tool in the property and construction industries in recent years, enabling everything from condition surveys to survey-grade data capture at virtually any location. But there’s still a great deal of misinformation about where you can fly, particularly in London. This is true for hobbyist flyers, because the Air Navigation Order prohibits them flying within 150m of a congested area. But as a commercial operator, having what is called a ‘Permission for Commercial Operations’ (PfCO) enables you to fly - as long as you can stay a minimum of 50m from people and property on take-off and 30m in flight. 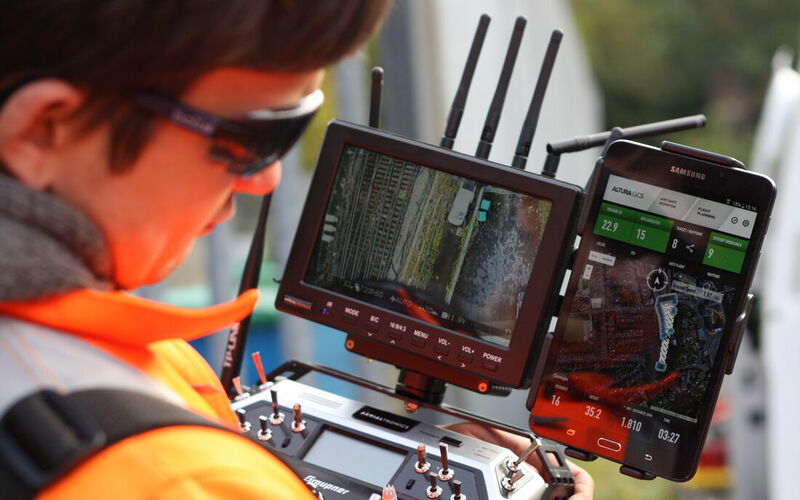 Only a handful of UAV operators have been awarded an OSC by the CAA and we are one, meaning we are permitted to safely operate at much lower heights and closer to people and property than other survey companies. Our permissions have actually been reduced twice in the last year, meaning we can fly virtually any location, no matter how congested. Having an Operational Safety Case is the ultimate approval that you are a safe operator… and proves that your Platform, People and Procedures are a cut above in terms of maintaining the safety of the public. Every job we do requires us to go through a rigorous risk assessment to prove that we are taking account of any risks and mitigating them as much as possible. With such procedures in place and highly-trained staff we are able to bring the risk down to acceptable levels of a ‘traditional’ survey. Every job we do requires us to go through a rigorous risk assessment and mitigating them as much as possible. 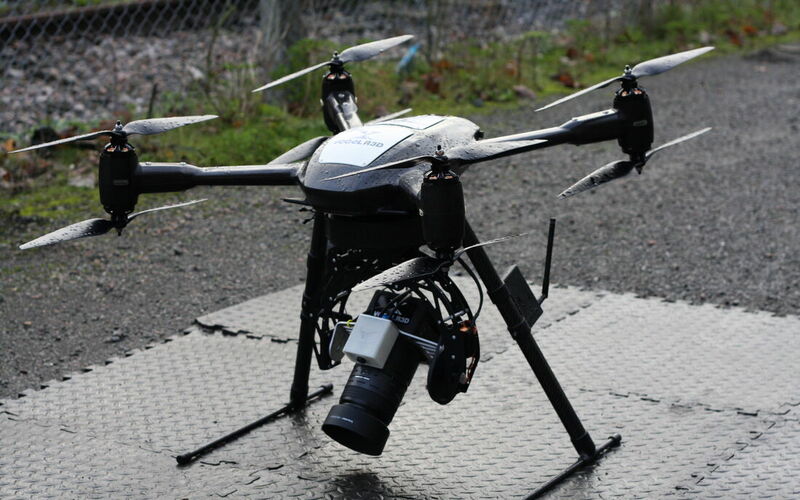 Allied to that is an extremely lightweight UAV platform that boasts an array of safety features and redundancies in case of failure or external interference. This includes things like dual communications links, triple redundant flight controllers and resistance to external interference. The only requirement for clients is to provide access to a suitable take-off location. Sometimes we don’t even need that if there is a safe take-off and landing location in a public space which can be cordoned off. 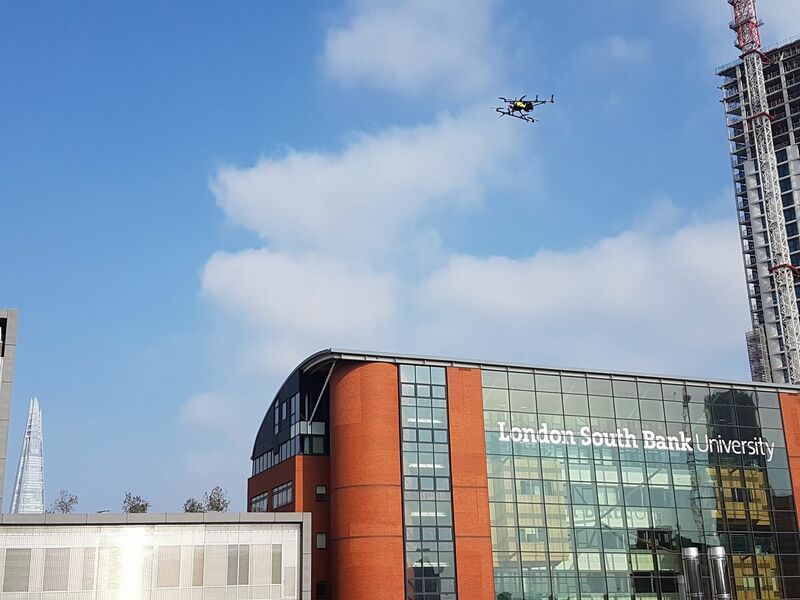 In some high-security areas such as Westminster and Canary Wharf, we also apply for permission from the National Air Traffic Service (NATS) to operate in restricted airspace. They liaise with the Metropolitan Police and Diplomatic Protection Group to grant us permission to fly, and this process normally takes less than a week. Due to our strong relationship with these parties and our responsible operating practices, we have never had this permission refused. Again, for an experienced operator with an advanced OSC this is simply not an issue. Every airport has a controlled zone around it (known as an Air Traffic Zone or ATZ), but with the right communication and procedures, they are more than willing to accommodate us. 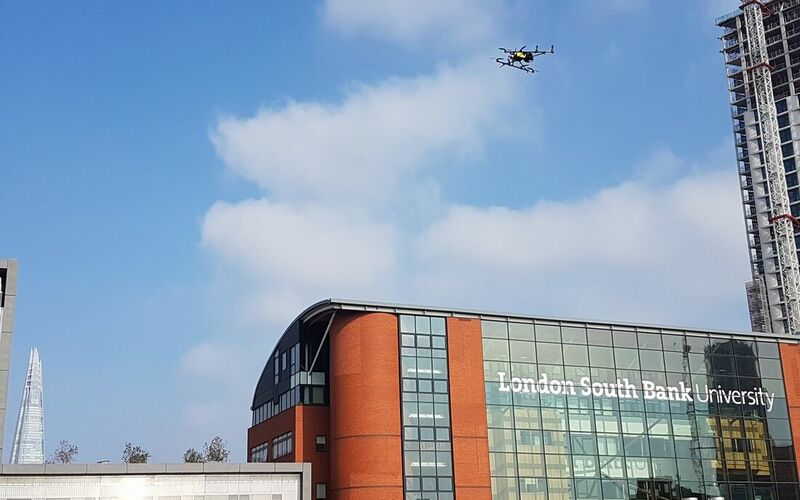 We have completed many flights in these areas, including a job for a logistics company just a few hundred metres from the southern runway at Heathrow Airport. Horror stories in the media usually involve careless hobbyist drone pilots on approach paths at unsafe heights (sometimes as high as 5,000ft) who do not understand the risks they pose. If an aircraft pilot sees a drone during a flight, they will radio this observation through to Air Traffic Control (ATC). If they are not aware of the drone’s operation, all incoming flights will be diverted causing immense disruption and cost to the airlines. 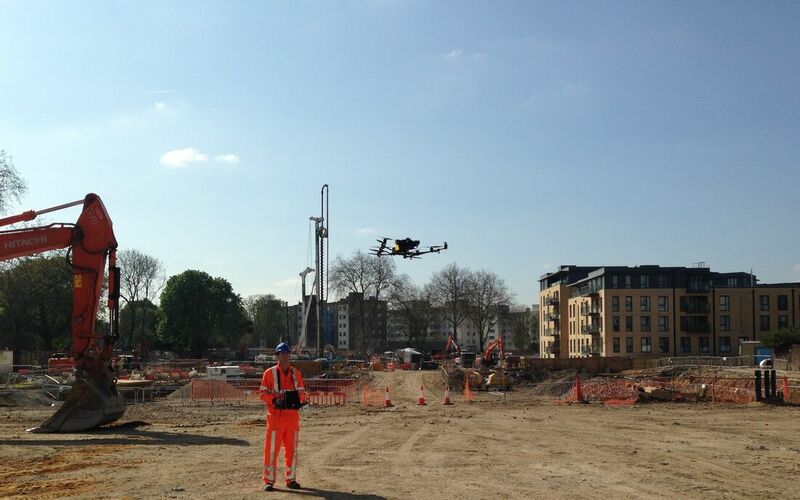 Working at just 200ft we pose very little risk and since they are aware of our activities, if our drone was spotted by a pilot, it will not be regarded as a threat. Having worked in London on so many jobs, our relationship with the Metropolitan Police is excellent. Notifying them of proposed activity is a critical part of our workflow, particularly in high-risk areas such as Westminster or near Government buildings. If they are already aware of what we are doing, well-meaning calls from the public don’t cause any unnecessary disruption. In an age of cyber-security concerns, it’s also worth mentioning how we keep safe the survey data we collect. 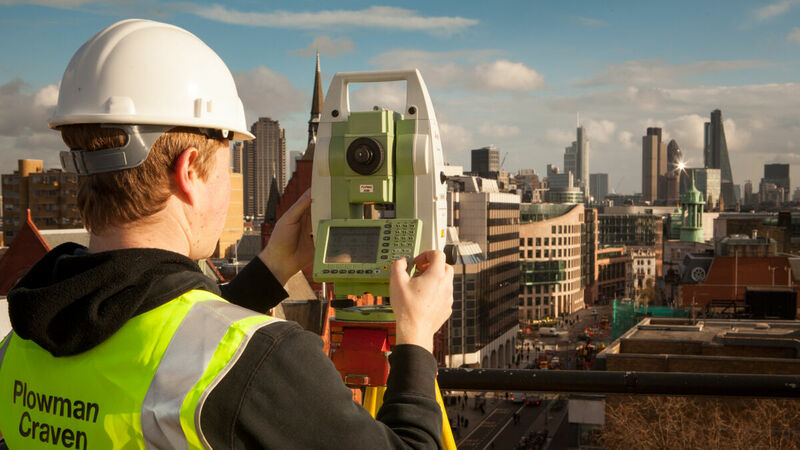 We are one of only a handful of UK survey firms to have attained the coveted IS0 27001 certification from the British Standard Institution (BSi). This globally-recognised security standard ensures all data is securely managed using robust systems and is integral to our work on high-profile, secure locations.